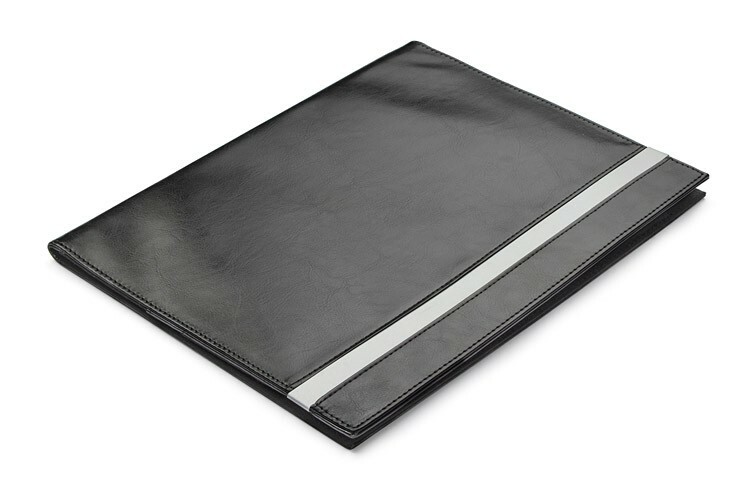 The portfolio made of high quality eco-leather. It has a 1 large pocket for keeping documents, 3 small pockets, 3 USB sticks holders, additional pocket for e.g. smartphone and the notebook (20 A4 sheets with lined paper). Notebook is not stuck to the cover, but only slid on the pocket, which makes it possible to change the notebook. The logo might be engraved on the metal plate on the cover.